How do you know when you have officially become a cocktail geek? (Besides, you know…blogging about them.) Well, there are a few signs; multiple bottles of bitters, obsession with vintage glassware, too much gin and very little vodka, rum from at least 6 different Caribbean countries and the obligatory bottle(s) of absinthe are all reliable signs. Throw in some Falernum and Fernet and it is pretty clear that you, my friend, are a cocktail geek. But there is another major sign that you have gone over to the dark side (and, let’s face it, some of us enjoy it over here). Vermouth. If you have multiple bottles of vermouth and they are (hopefully) in the fridge, then you are probably a cocktail geek. And if you actually mix, match and test different recipes with different vermouth, then you are definitely a cocktail geek. Welcome. But even if you aren’t a cocktail geek (yet) we do suggest that all educated drinkers keep a good bottle each of sweet and dry vermouth. Keep them in the fridge, and use them often. Each brand has its charms and we suggest you experiment. And beyond the basic Martini and Manhattan, there are many experiments worth trying. We suggest the Fourth Degree be one of your first experiments. We will forgo some of the history (the drink, with differing recipes, is found in the Savoy and Imbibe! 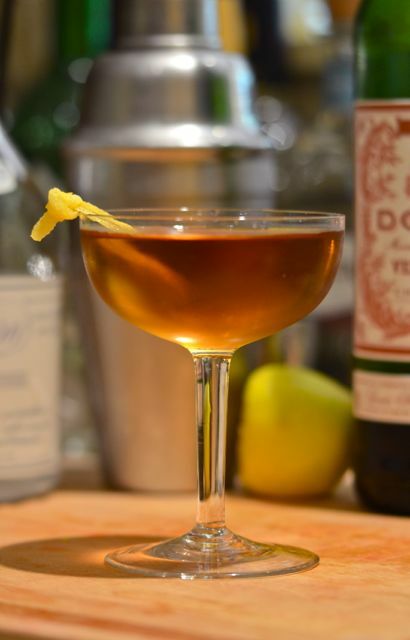 ), but the Fourth Degree is a classic from the “golden age” of pre-prohibition cocktails. It lands somewhere between the Martinez (the proto-Martini) and the classic “wet” Martini. Not surprisingly, it uses gin and vermouth. But in this case, equal amounts of gin and both sweet and dry vermouth- along with a dash of absinthe and a lemon twist. The Fourth Degree is also a recipe that welcomes experimentation. Many have made the drink dryer with a larger proportion of gin, and that is very good. You can also play with the vermouth. 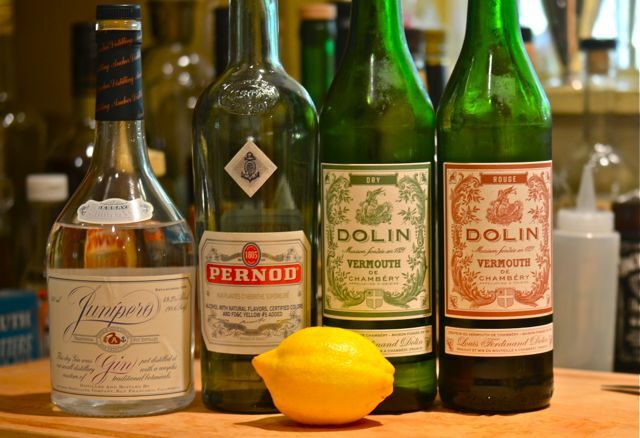 Changing the sweet vermouth from M&R to Carpano Antica to Dolin to Vya will make for a substantially different drink. 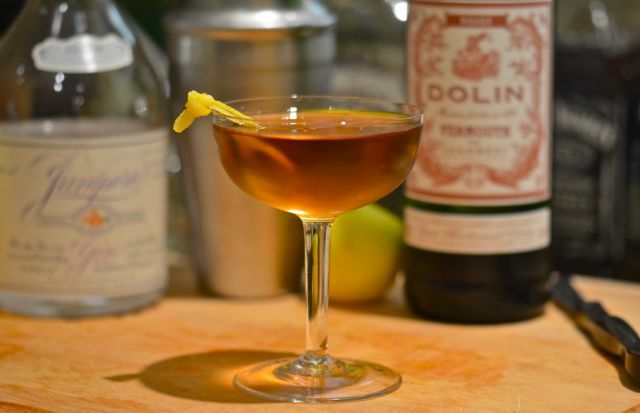 As will changes with the dry vermouth (we like Dolin and Vya here). 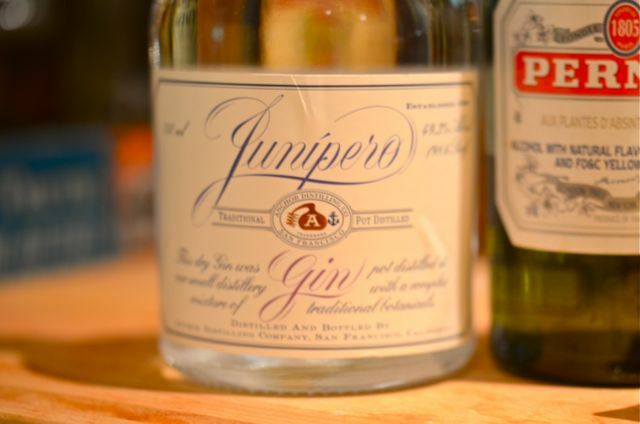 But, of course, to truly experiment you need to collect a bunch of vermouth….hmmm….see what we mean? 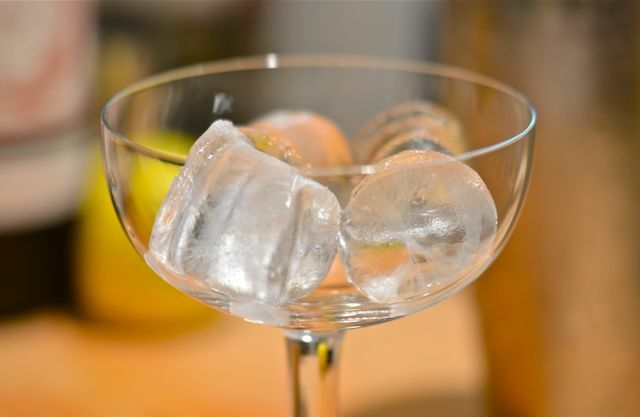 Add all the liquid ingredients to a cocktail glass with ice and stir until well-chilled. 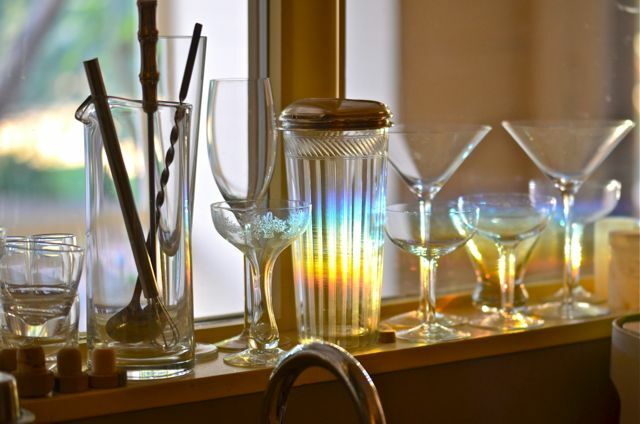 Strain into a chilled cocktail glass or coupé. Garnish with the lemon twist. Serve. We have heard that the real-world definition of stupidity is to fail at something and then repeat the same action over and over. And yet, here we are again, trying to find a variation of the Negroni that we enjoy. Stupid? Maybe. But the key word here is “variation”, we keep trying new formulas, gins and sweet vermouth with the hope we can break through. And finally we broke through. 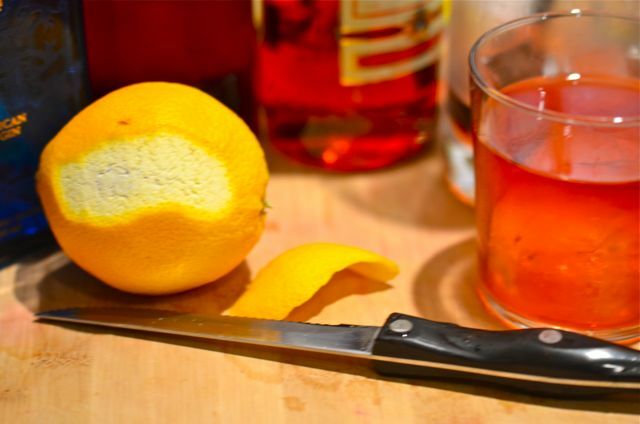 We found a Negroni recipe we truly love. So were we stupid to keep trying? No…..Tipsy? Maybe. Why all the effort? 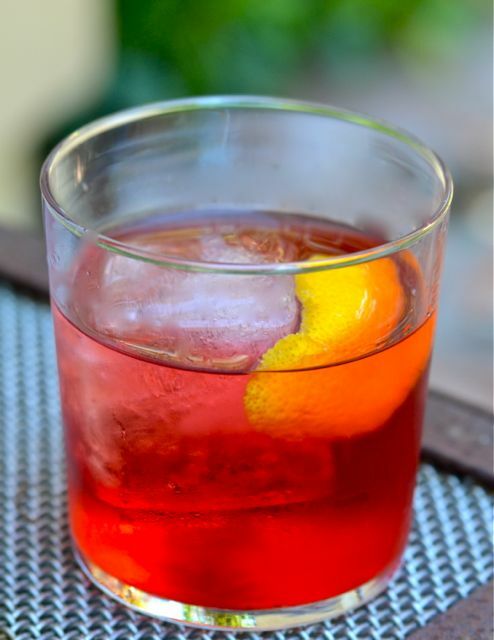 The Negroni is a classic cocktail loved by many aficionados that we respect. If they love the drink so much, maybe we can find a version we like. And the formula makes perfect sense, herbal gin, sweet vermouth, bitter and fruity Campari and that beautiful color. Depth, complexity, beauty- what’s not to like? Well, for us, the problem has been flavor. Too bitter, too ashy and yet too sweet at the same time. There is alchemy in a good Negroni (or any great cocktail), but we were not finding it. We played with different gins, but be it Tanq or Plymouth or Bluecoat, they didn’t seem to be the problem. As for the Campari- we can play with the ratios, but you need Campari for a real Negroni (although you can sub for it and get a great cocktail). So the last variable was the sweet vermouth, and this was where we have spent much of our time. We love the Carpano Antica, but it was too strongly flavored and brought out the ashy notes of the Campari. Dolin and M&R just seemed sweet and lost to the Campari. But then we got some Cocchi Americano Rosa and we found our answer. And even this may be a bit of a hack. 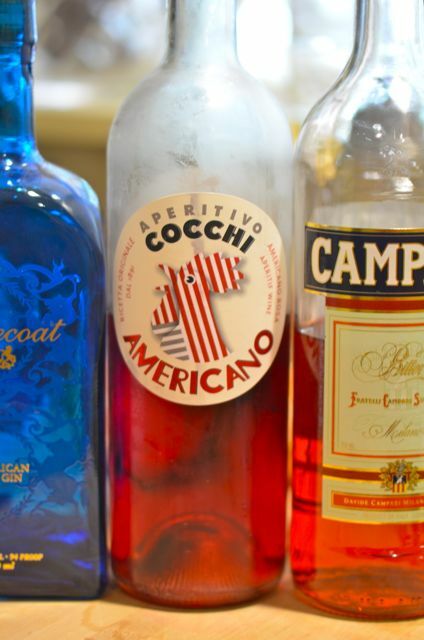 Cocchi Americano Rosa is technically an Americano, a type of quinquina (aperitif wine with chinchona / quinine), but it is an easy substitute for sweet vermouth. 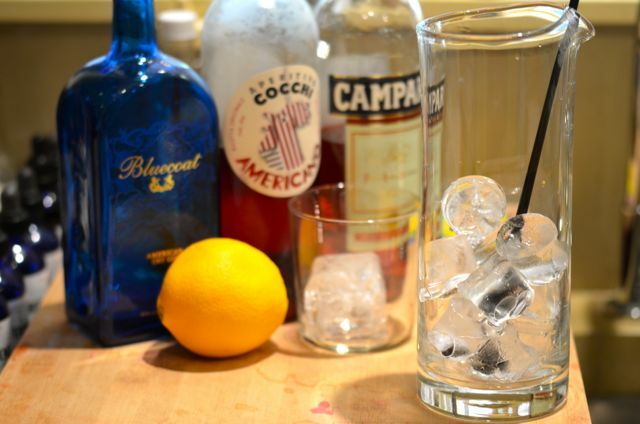 What makes the Cocchi work better for us is its combination of bright fruit flavors and bitterness from the quinine. Think very good sangria, with slight bitter notes. The Rosa is lovely to drink on its own with some ice, but in cocktails that call for sweet vermouth, it brings lighter and brighter flavors. A fun ingredient to play with. Fortified wines began, in large part, as a way to deal with the difficulties of shipping wine long distances in the holds of sailing ships. Without the rigorous sterilization that is possible today, wines would often spoil en route. 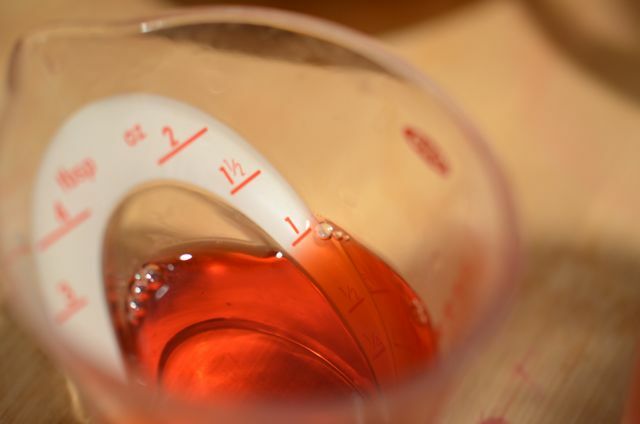 However, increasing the alcohol concentration to around 20% ABV was enough to keep them from going off… These wines held an important place in.. punch and have continued on in cocktails proper. [These wines include] sherry, port, and, to a lesser extent, madeira and marsala, all find their way into various mixed drinks… They can play many different roles – from taking the place of vermouths in classic drinks, to providing richness and sweetness in winter tipples, to serving as a base for lighter aperitifs. Whether forgotten classics or new creations, let’s see what you can put together. Hmmm. Truth be told, we are big fans of port and sherry with food, but have some history of struggling with them in cocktails (we love really good Madeira, but as a treat, and wouldn’t put the really old stuff in cocktails). One of the biggest challenges is the range of fortified wines, styles and producers. Spirits are consistent, fortified wines are most certainly not. Sherry by itself has half a dozen varieties from the bone dry (and almost salty), to the sticky sweet. A cocktail recipe with one type of sherry or port may rock, but be fully gag-inducing with another variety. A high-risk, high-reward ingredient. Happily, the point of this blog is to try new things and we took it as a challenge to come up with a sherry-based cocktail we liked. And since sherry cocktails are in vogue at the moment, there were plenty of new recipes out there to try with dry sherry. We tried a few that used dry Fino and Amontillado sherries (we will leave them unnamed) and, frankly, thought most were pretty bad, with the woody, saline flavors dominating and none of the nutty flavors we enjoy. Ugh. So when the newfangled fails, we go back to the classics. And there are few more classic cocktails than the Bamboo cocktail. The Bamboo was created in the 1890’s by Louis Eppinger, the bartender of the Grand Hotel in Yokohama. 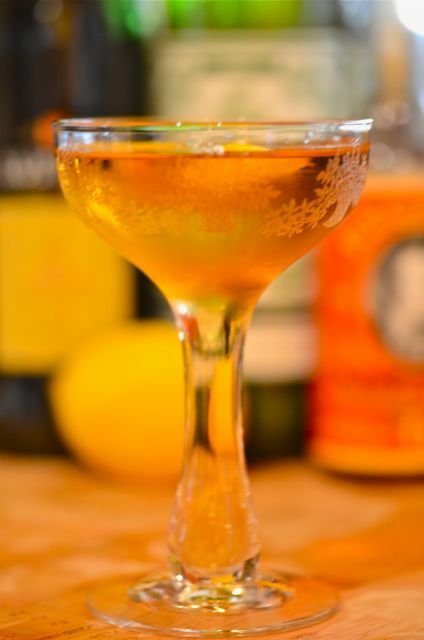 The Bamboo is an even mix of dry sherry and dry vermouth with two dashes of orange bitters and a light dash of Angostura bitters and a lemon twist. 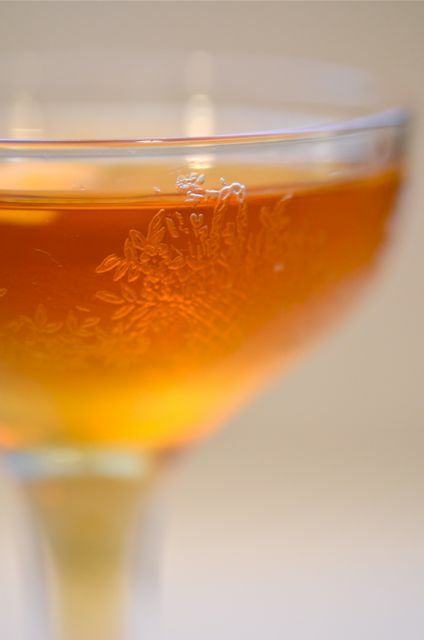 This is an easy drink to make, and with its rich amber color, it certainly is pretty. When we look around our bar, it doesn’t take long for us to see that bourbon is sometimes a neglected spirit. We often prefer rye whiskey in many classic cocktails and when reworking old recipes tend to look to Cognac or Armagnac. But that doesn’t mean we dislike bourbon, we just usually drink it neat, on the rocks or in Mint Juleps when spring comes around. But part of why we write about our explorations in cocktails is to expand our tastes, so this week we took another look at bourbon. And it didn’t take us long to find the Derby. 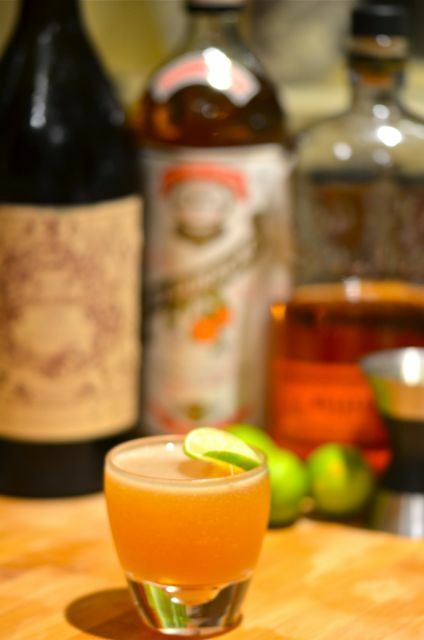 The Derby combines bourbon, sweet vermouth, orange Curacao and lime juice. 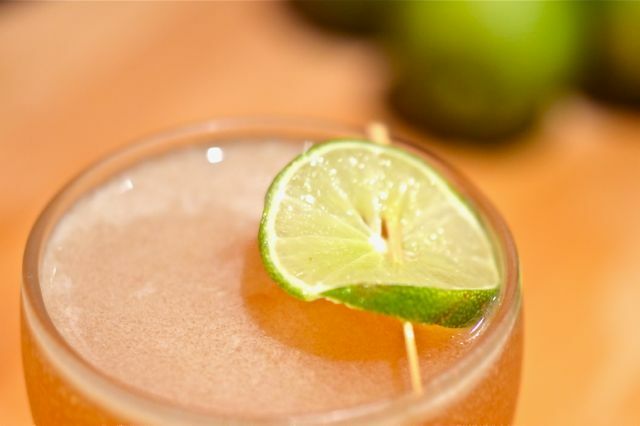 We were attracted to this drink both because it uses common ingredients (like the Scofflaw), but features the uncommon mix of lime and whiskey (like the Junior). And, finally, a little research from Ted Haigh noted that Trader Vic Bergeron himself published this recipe and featured the drink. If it’s good enough for Trader Vic, we figured the Derby was worth a try. And the Derby is certainly worth a try, and probably a regular visit. The bourbon and sweet vermouth are a natural fit, but the Curacao adds depth and the lime adds a bright, tart flavor to the sip. 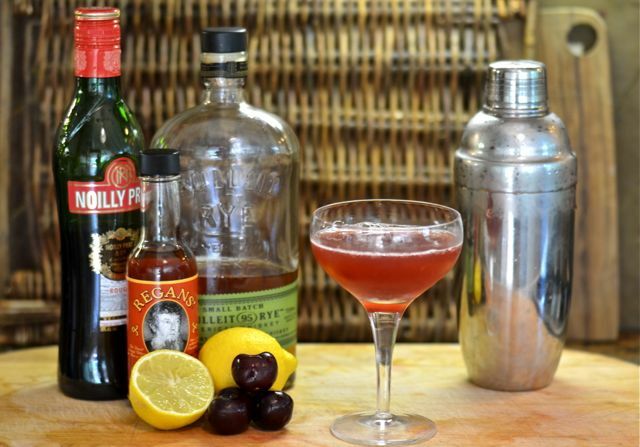 If you are a big Manhattan fan, you might find this drink a bit sour, but if you are a rum or gin fan, this cocktail may seem like familiar territory. But make no mistake, you taste the sweet caramel notes of the bourbon, it just doesn’t dominate the whole sip. Like we said, worth a visit. As for the spirits, we use Bulleit bourbon as our go-to bourbon and recommend it, but this would be a good cocktail to play with- try the bourbon(s) you have. We also use Pierre Ferrand Curacao, a reformulation / recreation of “old-time” Curacao. We are big fans of the Pierre Ferrand, it is less sweet and has more spice than most Curacaos or triple secs. 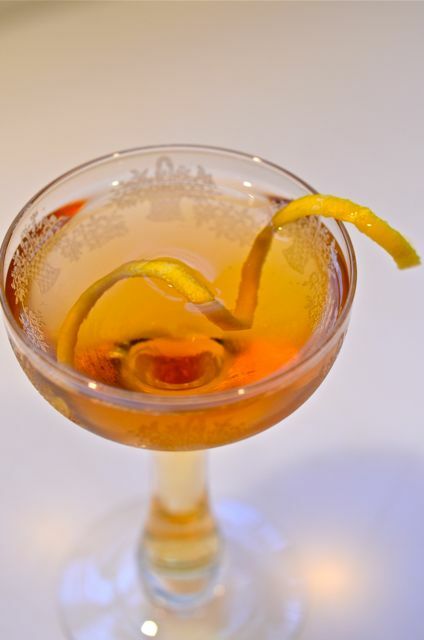 But finally, the big variable in the Derby is the sweet vermouth. We use Carpano Antica, a much less sweet vermouth that adds some spice and amps the tartness of the drink. (If you see a theme emerging, it’s that we usually prefer tart and spice flavors in our cocktails). 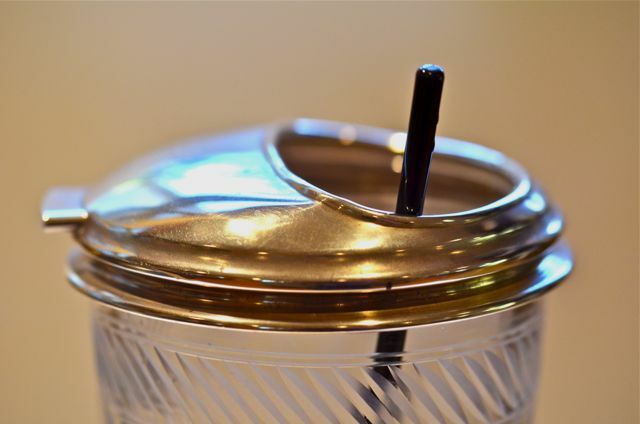 If you like a sweeter sip, Dolin or M&R might be the way to go. 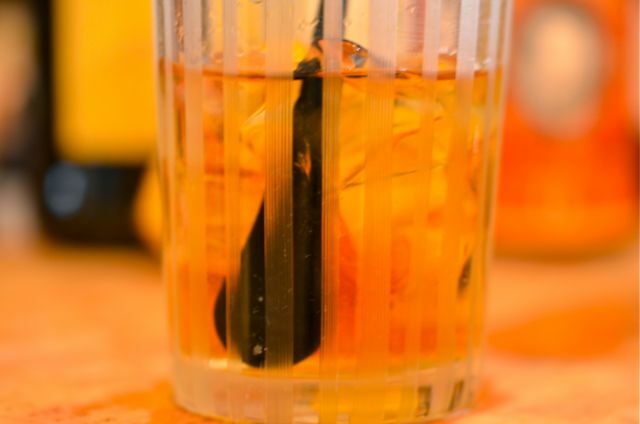 But again, the Derby is a good recipe for experimentation, and a great way to enjoy a little bourbon. Combine all the ingredients in a cocktail shaker with ice. 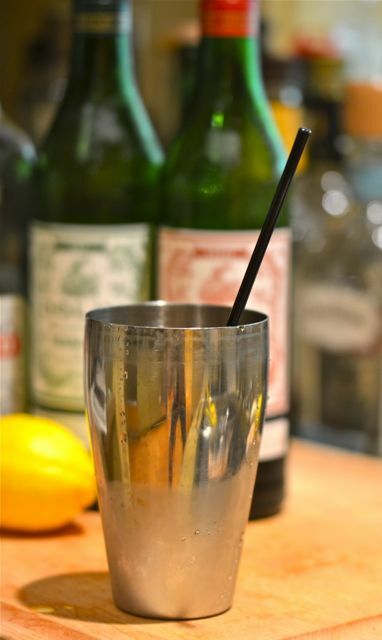 Shake thoroughly and strain into a chilled cocktail glass or coupé. Serve. One of the best parts of enjoying cocktails with friends is that they share their favorites and personal creations with you. And sometimes, after a few drinks and/or a visit to the fruit stand, you can build and enjoy “new” drinks. We say “new” but as this cocktail is a variant of the Manhattan, one of the most tweaked cocktails in the world, someone has probably made this before. But a quick search of Cocktail DB didn’t come up with a name, so we will call this one “Scott’s Manhattan”, after our friend Scott who made this cocktail for us during our visit to Long Island. A few more ingredients than a regular Manhattan. If you read our blog regularly, you will note that we sometimes avoid “brown drinks” like Manhattans, particularly in summer. But Scott is an avowed, and knowledgeable, fan of the Manhattan and made us a version that works in any season. 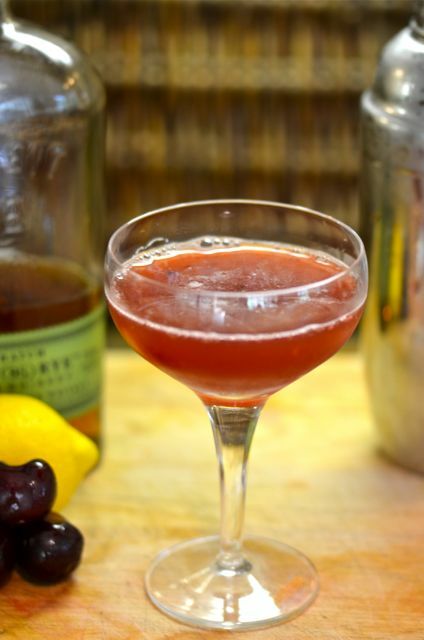 His version includes two ounces of rye, one ounce of sweet vermouth, muddled cherries, a touch of lemon juice and orange bitters to create a bright and “summery” Manhattan. While anyone who likes Manhattans will recognize the whiskey and vermouth, Scott’s additions brighten the flavors and add a clean finish that works very well in warm weather. We all liked this drink and enjoyed quite a few in the last week. 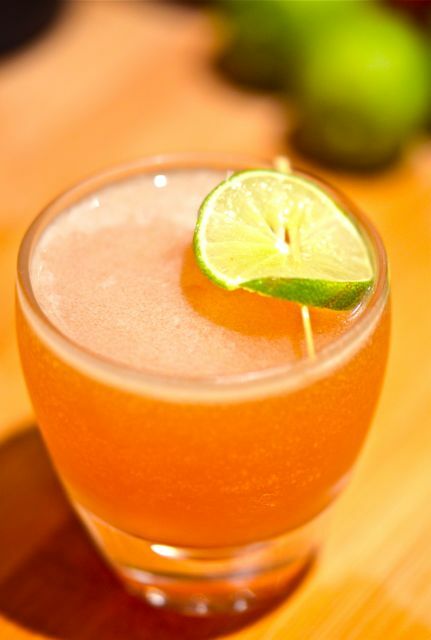 Usually whiskey stays near the back of our summer bar, but this drink changed our minds. Traditionally, a Manhattan is 2 parts bourbon or rye and one part sweet vermouth. 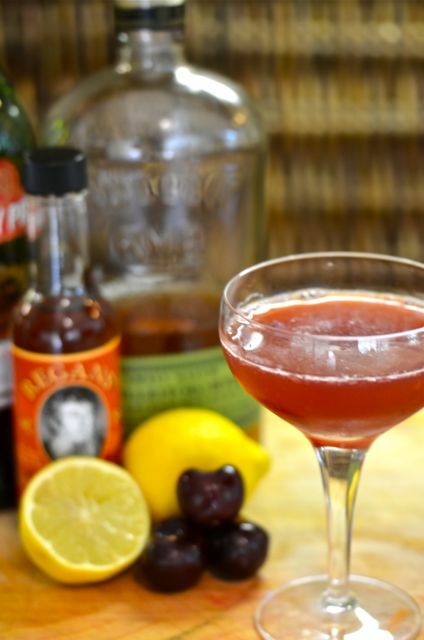 Most recipes include bitters, usually Angostura, and often a cherry as garnish. A classic drink, but very sweet to our tastes, particularly if using bourbon. 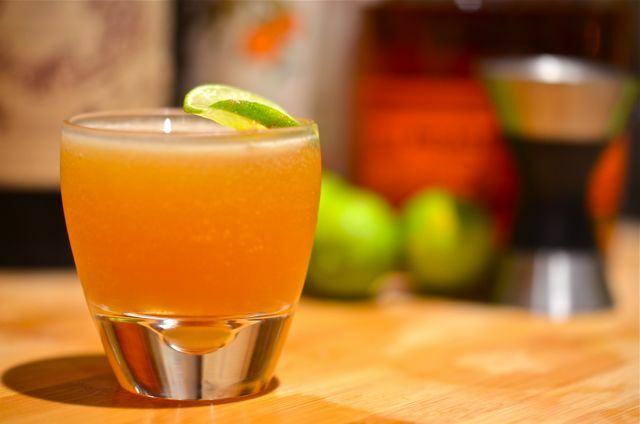 Scott’s version adds more spice by using rye and citrus notes from the orange bitters. 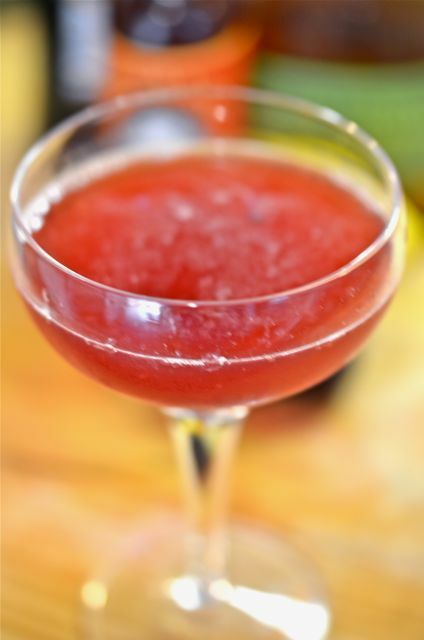 The cherries add both sweetness and tang, and really amp up the color. The first sip of this cocktail is sweet and spicy, but then the citrus and cherries kick in for a lighter, fruitier finish than any traditional Manhattan. Purists may cringe, but we are all for seasonal experimentation and variation with our cocktails- it’s fun, and cocktails are all about fun. As for making the drink, it is pretty straightforward, with just a few extra steps. Place two fresh, pitted cherries, a lemon twist and a few drops of lemon juice to a cocktail shaker and muddle to extract the juice from the cherries and oil from the lemon peel. Add the rye, sweet vermouth, orange bitters (we use Regan’s for this version) and ice to the shaker. Shake until chilled and strain into a cocktail glass. For the rye, we like Bulleit and High West for cocktails, but most good rye will do. If using bourbon, the drink will usually be sweeter, so an extra drop of lemon or a touch less vermouth may help balance the drink. 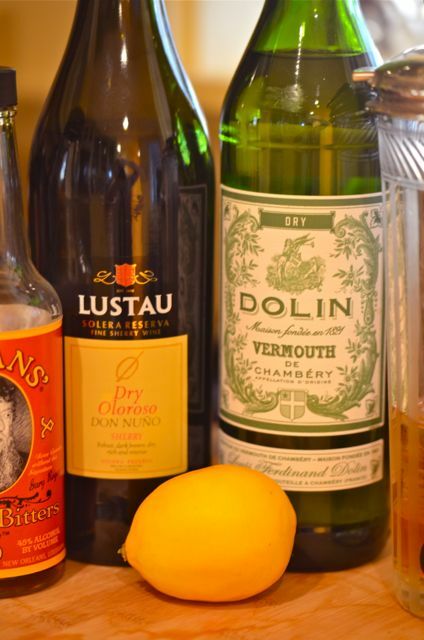 As for the sweet vermouth, we use Noilly Prat or Dolin, but we suggest you experiment with the sweet vermouth you prefer (and you do keep your vermouth in the fridge, right?). 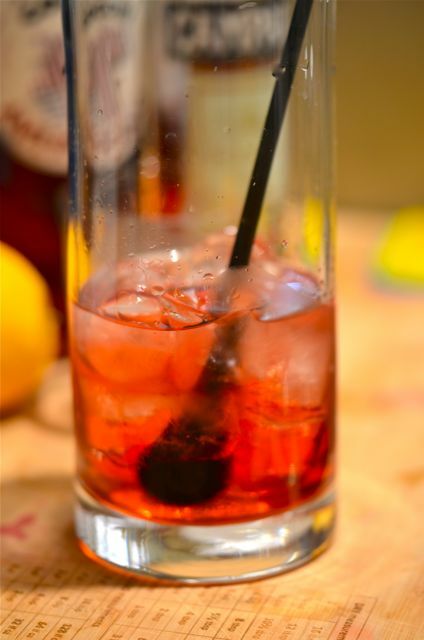 With the extra red color from the cherries and aroma from the lemon, we don’t think a garnish is necessary, but perhaps an orange twist will add extra dimension…. Again, feel free to experiment. Scott experimented, and we got a great drink…. 1 lemon twist / peel (about the size of a quarter). Place cherries, lemon peel and juice into a cocktail shaker and muddle to extract juice and oil. Add rye, sweet vermouth , bitters and ice to the shaker. Shake thoroughly and strain into a chilled cocktail glass or coupe’. Serve.